The following is an excerpt from the Austmine webinar ‘Predictive Maintenance and Life of Asset’, which was aired to Australian Mining, Equipment, Technology, and Services organisations (METS) in August 2016. The presenter; João Silveirinha, is Banlaw’s Group Engineering & Development Manager. João’s background is innovation in engineering across a range of industries; more recently Energy, Oil & Gas, and Mining. On a day to day basis João is involved in planning around Functional Safety, Machine Safety and Explosive Atmospheres. His team leverage many of the key International Standards that form the guidelines for safe and innovative practices across numerous heavy industries. João is originally from Portugal, and is now based out of Newcastle in Australia. In this update, João shares some insights regarding maintenance planning, along with the predictive maintenance and preventative maintenance behaviours which enable best practice. I wish to discuss what is a ‘Unified Fuel Management’ approach, with a special focus on predictive maintenance and preventative maintenance. Before we start we need to take a step back and think about the big picture. Where do these processes fit, and how do they increase the life of assets? That is the question. Maintaining optimum performance across fleets and infrastructure and achieving many smaller efficiency gains, will over time lead to very significant productivity increases. When we speak about fleet management, asset management and maintenance management systems, we need to look at these concepts as part of an overall quality system. These systems have similar requirements as specified in ISO 9001. At the end of the day, upper management represent the key stakeholder group, and must also be the biggest supporters for the implementation of such systems to be successful. It is critical that for implementation success, management must provide a clear vision and strategy. It is then down to engineering, operations and maintenance functions to work together, and establish adequate requirements. These cross-functional planning teams must recommend to management appropriate metrics to establish success, or to identify further opportunities to improve. These factors enable a continuous improvement model. These are some of the focus areas, which can be applied to limit waste and inefficiencies. In short, if you can’t measure it, then you can’t manage it. 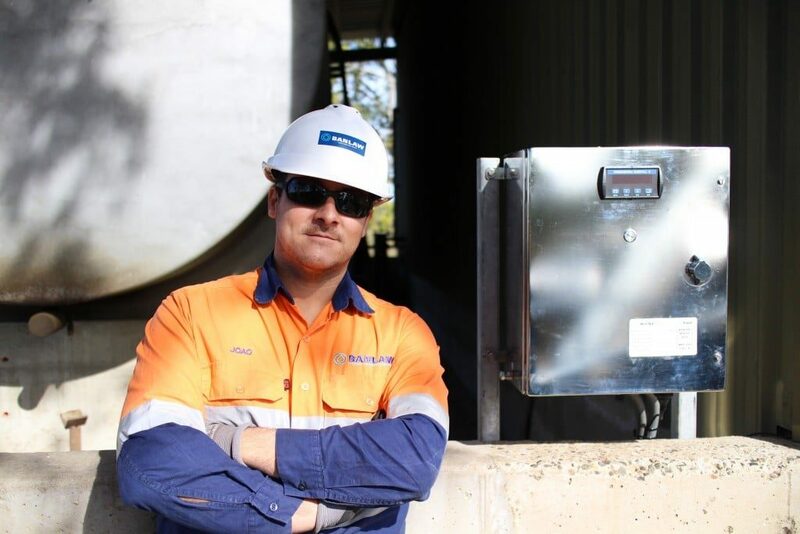 Note – Safety management systems applied to maintenance are of special importance when we are dealing with higher-risk maintenance activities, which are the norm in a mining or rail context. There are many systematic methods which have been developed, and can be implemented in the maintenance processes. Total Productive Maintenance (TPM), Kaizen (the Japanese ‘change for better’ approach), Lean Maintenance (which focuses on the elimination of waste), and 5S (continuous improvement which can readily be applied in workshops) are just a few which I have seen specifically applied towards maintenance programs, and which have provided the framework for organisations to achieve very measurable success. I think the cultural change related to deploying these kinds of processes is perhaps the biggest challenge. These teething issues are overcome most quickly by creating interdepartmental teams. These teams of people with different roles can get involved in planning workgroups, but this also establishes the needed buy-in and appetite for success. From my experience if someone doesn’t really understand the problem; even better. They will make the simplest questions which will eventually lead to the resolution of the problem. In my experience 90% of the time the operator has the solution for the problem. So, predictive maintenance examples: I tend to support several tools to guide predictive maintenance in our sector (fuels and lubricants). Scheduled hydrocarbon fluid sampling provides the insight to stay ahead of problems. Laboratory analysis, data interpretation, and then quickly taking action are the most critical part. Interpretation of contaminants and fluid composition can give us up-front information on wear rate of the equipment. Condition monitoring of filters and auxiliary equipment further reduces the vectors where contamination is introduced; more on that later. Real time data acquisition methods are of extreme importance, and software reporting of abnormal equipment fuel consumption. The idea is identification and action based on symptoms rather than problems, and these are some of the tools that we use to help our customers. With regards to preventative maintenance, this process becomes an additional layer of asset protection. Advice is often provided by the OEM as well, to support planning for a specific machine type. 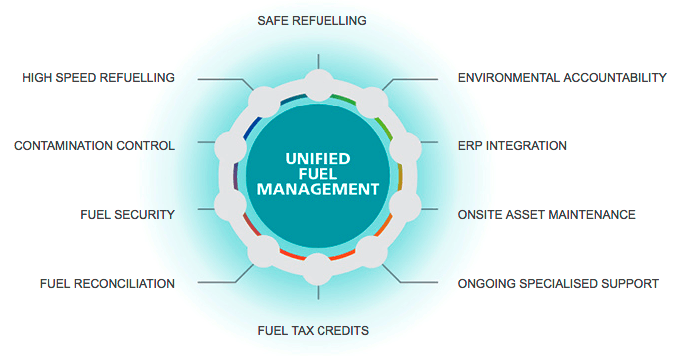 The Unified Fuel Management philosophy is a powerful tool. This method provides guidance and helps companies set key requirements and have full control in the asset life-cycle; including the hydrocarbons involved, from buy to burn. I’ll provide some practical examples on how the system works, and what are the key benefits. Overfill protection systems can be used in multiple markets like rail or mining heavy equipment, as well as bulk storages. 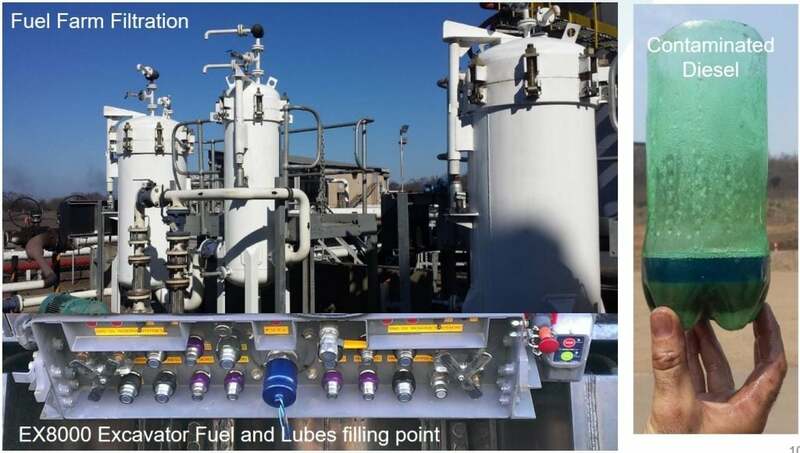 These systems help maintain the integrity of the equipment by preventing over pressurisation of fuel tanks, preventing spills (and contamination from overfill events), and increasing refuelling efficiency as well. There are electrical and hydraulic powered versions available. The hydraulically powered version from Banlaw offers flowrates of up to 1000 lpm (264 gpm), and the electrically powered version has no limitations with regards to flowrate. By optimising the achievable flowrate when refuelling plant and equipment, you will increase the productivity of equipment and utilisation of refuelling infrastructure. This can be achieved at fixed refuelling facilities and also with mobile service vehicles. 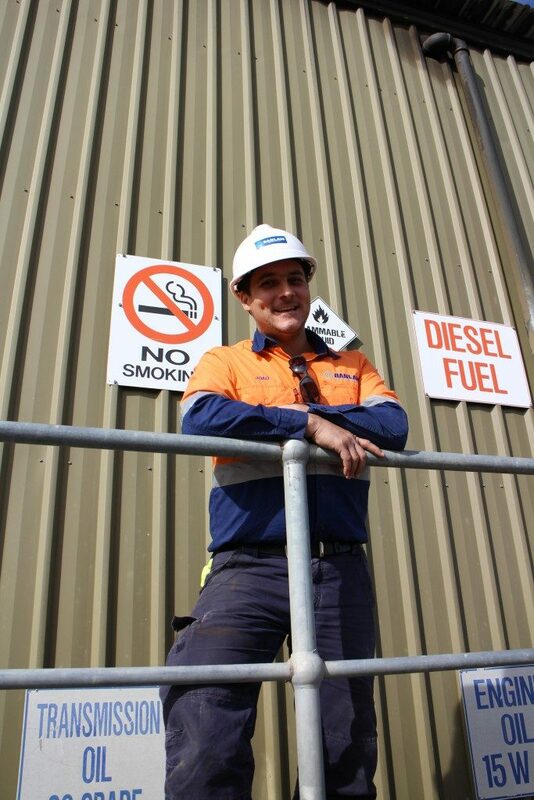 Contamination continues to be one of the most serious issues in fuel consuming industries such as mining and rail. Unfortunately, it’s not sufficient to simply invest in your fuel filtration infrastructure at incoming or dispensing points in the fuel farm. Having a full operational analysis done of your fluid management equipment and processes will help maintenance and operations to increase asset reliability. On the right-hand picture we have a sample of diesel collected on a mine site. The top layer is diesel, the middle brown layer is a muddy sludge, and on the bottom in white, is water. This is the kind of contamination we deal with. We try to prevent these contaminants from reaching the fuel injectors on the machines. It can become very expensive to fix a breakdown which has been due to water in the diesel supply. Moreover, a situation like that shown in the diesel sample picture can take multiple machines offline in rapid succession. Flush faced and colour-coded fluid couplings with a single fluid type assigned to each colour (this will prevent contamination and cross contamination). For more information on Fluid Contamination, check Banlaw’s Contamination Control Checklist. This level of control satisfies tax office requirements and also the levels of environmental compliance required of modern heavy industries. Appropriate fuel management helps ensure contamination control and responsible operations practices. Having a reporting system enables companies to issue hydrocarbon accountability reports. ERP accountability means the integration of information across multiple departments, and it can also be one of the most challenging tasks. When we are talking about a company which may have many hundreds of people working across multiple sites, this becomes a real key enabler of the business if successfully achieved. This is the end goal, and how to implement a safe operation. The first aspect of this is performing a requirements review. What are the requirements? Regulatory and regional standards exist to provide direction on how to increase asset lifetime. Having the right expert support is important for operations. Nobody can have a local specialist in every related field on the payroll. Organisations such as Banlaw are often valued the most for their design support, helpdesk, system health checks, site audits, software integration… all that specialist expertise, that when you need it, you need the advice to be right. Access to specialised support keeps an operation moving forward, finding improvements, and innovating year after year. What is one thing you could do today to fire up your predictive maintenance results quickly? I’ll give you a quick example from one organisation I work with. They have a significant fleet of haul trucks and diggers. Together we chose to zero-in on fuel usage exception reporting at a machine level to improve fleet management. The report compares fuel consumption of vehicles which have been classified into the same class, and identifies which vehicles are consuming fuels at above predefined thresholds. This predictive maintenance trigger leads to preventative maintenance activities in a very targeted way. This international mining group has been able to achieve very significant reductions in their cost per wet tonne (cwt) of product, through targeting outlier machines identified with predictive reporting approaches, then taking appropriate action before a problem occurs. At the end of the day it is up to management to define strategies and policies which will set the framework for Maintenance Management Systems. If management provides the right support to maintenance and operations teams; then they will achieve the incremental improvements, which distance innovative organisations from their peers.